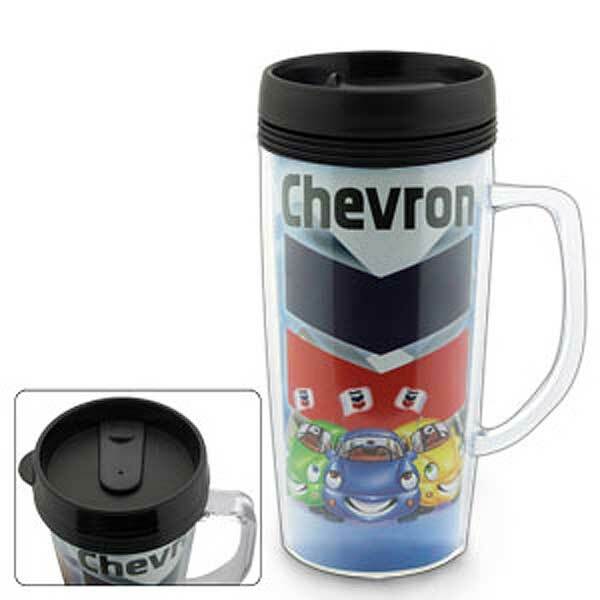 A plastic mug with a handle that has a digital full colour insert which can accommodate custom graphics and endless colour possibilities for one setup charge. 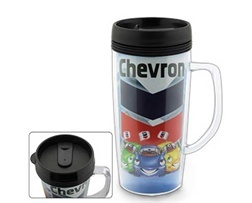 Photographs, intricate logos and detailed text are all perfect for this unique mug! Also comes with a screw on lock top lid.